We here at Asset Intelligence love new developments, whether it is a new skyscraper, villa, or even a castle, there is something that makes them so special, a little like when you buy a new superyacht or jet, it is a sense of self accomplishment. One project that we have been keeping a close eye on is a stunning skyscraper designed by the talented architects who are known for designing The Dubai Opera House, The London Aquatic Centre and The BMW Central Building in Germany. Named One Thousand Museum, this skyscraper is Zaha Hadid’s first residential tower in the western hemisphere, rising to more than sixty stories over eighty full floor residences, duplex town-homes and two single penthouses. Best of all, it is located in Miami, where the sun shines 249 days every year! 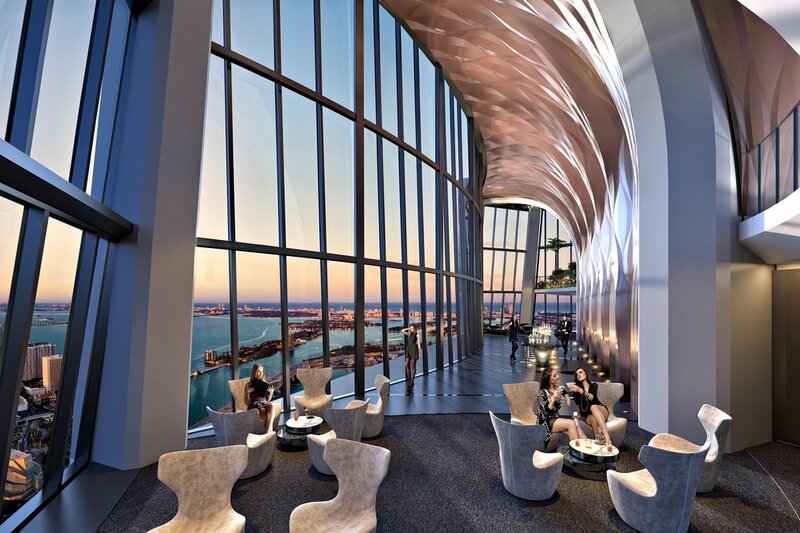 Recently we learnt that the team behind the skyscraper had brought on a rather talented and renowned chef who will plan and prepare seasonal menus that will be served a few nights each week, free of charge in the tower's Sky Lounge, which looks over Biscayne Bay. So who is this chef? Meet Chef Mame Sow, who was named one of the best Pastry Chefs in New York City and a graduate of New York's French Culinary Institute. Chef Mame will take on the role as Culunary Director. The initial menu will include items like cucumber gazpacho, butternut squash soup, foie grass torchon, key lime pate a choux, lemon scones and more. Prior to her new role at One Thousand Museum Residences, Mame’s talents were cultivated at the Townhouse Restaurant Group (including Aquavit, Riingo, Merkato 55), David Burke at Bloomingdales, Hotel Rivington and ultimately at Spot Dessert Bar where she served as pastry chef. She’s also worked at Bardessano Hotel and Spa in Yountville, California. She’s currently the pastry chef at Norman Van Aken’s newest restaurant, Three, located in Miami’s Wynwood district. We had a chat with Chef Mame to find out a little bit more about her. For me it’s being able to create and showcase ingredients in different shapes and textures. I’ve been working in restaurants since I was I high school. It’s been 12 years. I’m a pastry chef so my favorite ingredient is chocolate and also Maldon salt. I’m open to always trying new wines so I haven’t found the one yet I can say is a favorite. What do you like to cook when you are home alone? I love cooking lamb at home or a roasted chicken. It was prepared by a friend who’s also a chef. In Yountville, California when I went for a visit. It was 10 courses that he made at home and it was and still is the best meal I’ve enjoyed. Pichet Ong is someone I greatly admire. His an amazing pastry chef and someone I’ve worked with. His been an amazing mentor and someone I can always reach out to. I think dealing with different personalities and being able to be neutral and fair in certain situations. If you could only have one last meal, what would you have? Either a branzino or a roasted leg of lamb. What are you your top 3 career highlights? I’m not sure if there’s 3 but I would say my career highlight is becoming Culinary Director for 1000 Museum. Zaha Hadid is someone I greatly admire and her designs are just beyond amazing and inspiring. What is the most unusual request you have had from a guest? It’s mostly ridiculous amounts of allergies from gluten to salt. If you didn’t become a chef, what do you think you would be doing now? Through the project’s luxury management service, residents will be able to reserve the helipad and book transport to and from Miami International Airport and other nearby islands and destinations, without even having to leave their building – offering an unmatched level of privacy.